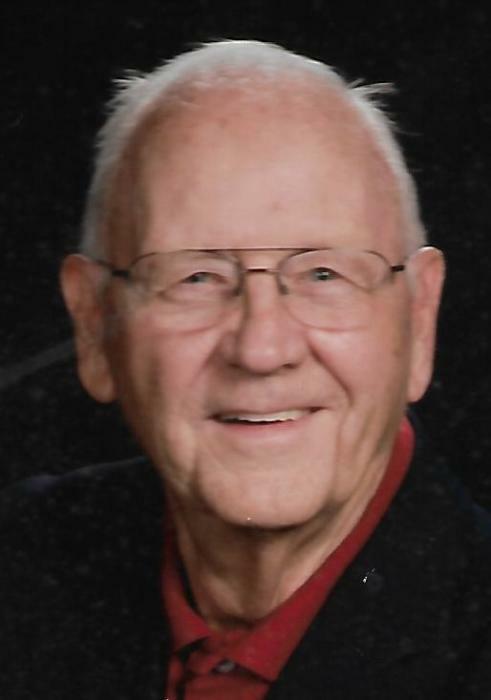 Muncie-Donald Rex Phillips, 84, passed away Friday afternoon, October 19, 2018, at the Indiana University Health Ball Memorial Hospital following an extended illness. He was born on July 11, 1934, in Muncie, the son of Patrick L. and Beulah Magdalene (Parker) Phillips. Donald is a 1952 graduate of Muncie Central High School and later married the love of his life, Shirley (Hutton) Phillips on November 14, 1954, in Muncie and she survives. Mr. Phillips had worked for Delco Battery as a Tool and Die Maker for 31 years prior to his retirement in 1990. He was a member of the St. Lawrence Catholic Church where he was a Cub Scout Master, the Lions Club of Daleville and the United Auto Workers Local #489. Donald also coached baseball and basketball at one time. He is preceded in death by his parents and two brothers, Patrick and Gary Phillips. A Mass of Christian Burial will be held at the St. Lawrence Catholic Church on Saturday, October 27, 2018 at 11:00 A.M. with Rev. Robert Williams officiating. Burial will follow at the Elm Ridge Memorial Park Cemetery. Parson Mortuary is in charge of the arrangements. Friends may call at the St. Lawrence Catholic Church on Saturday, October 27, 2018, from 9:30 A.M. until service time. Memorial contributions may be made to Charity of the Donor’s Choice.